Songs David started his summer tour with Demi Lovato on June 21, 2009 at the XL Center in Hartford, CT. Fortunately I was lucky enough to be there. It was at this concert that David accompanied himself on keyboard, for the very first time, to sing a popular song called “Apologize.” It was beautiful. Not only was I left speechless, he also gave me the chills with his performance of that song. 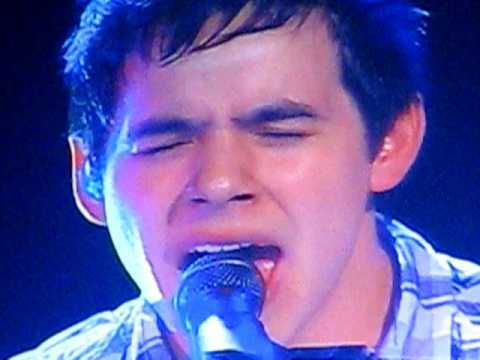 The first time many of us heard David sing “Apologize” was when he performed it on the AI finale in May 2008. He sang it with the popular singing group OneRepublic, the band that not only wrote the song but had also made it a huge hit on the radio. David’s performance that night was amazing. He stood on that stage and sang with confidence. David held his own and showed the audience that he was not only a talented professional but a star! 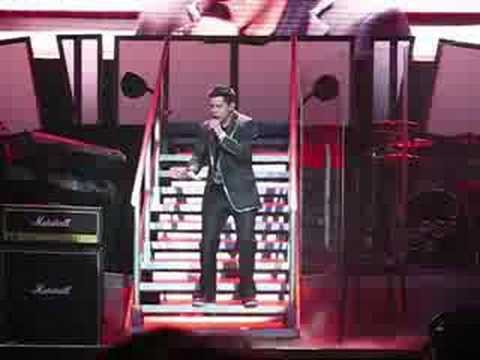 During the Top 10 “American Idol” Summer Tour of last year, David included “Apologize” in his performance. It became a huge fan favorite. He sang it with so much emotion and power that you could see, hear and feel the crowd’s pleasure. The fans loved it, they wanted more! It will once again be my good fortune to hear David sing on August 23, 2009 in Providence, RI. I will be seeing David perform in concert with Disney’s Demi Lovato. As their summer tour is quickly coming to an end, I am hoping that I will have the pleasure of seeing David sing “Apologize” again. 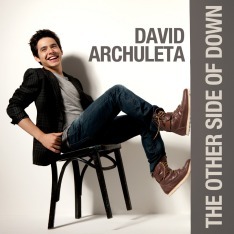 Honestly, since I have heard David Archuleta sing it, I like his version the best. His cover of “Apologize” beats out the original for me, every time! With that said, the song for this week is “Apologize”! Apologize: He slowly climbs the stairs, and turns at the top “ten feet off the ground”. Surely more like a 1000 feet by the sound of the audience as we get the first view of all 5 feet 7 inches of David. His “Apologize” is smooth and heart-felt. This was at the AI show in San Jose, the first time I saw David LIVE! The crowd went crazy and so did I.
WOW! My favorite was the Toronto Apologize. First time I noticed how David was maturing as he descended down those stairs. Like a man on a mission! Little did he know how hot that was! Thanks for the great picture this week!